Gates Open and Check-In Begins at 7 AM. All racers must wear their race number/bib. Run on the right, pass on the left. 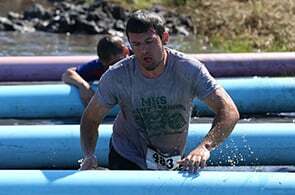 All racers must stay well hydrated; please use the water stations on the course to stay hydrated. No diving in any of the mud pits. 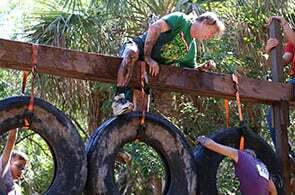 If there is an obstacle you are unable to complete, you may choose to skip it. 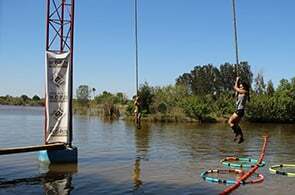 However, if you are registered in any of the competitive timed waves, there is a penalty of 25 jumping jacks for anyone who fails to complete or chooses to skip an obstacle. There are a few obstacles that require swimming in deep water. To be eligible for an award in one of the competitive timed waves, racers must complete the entire course. All attendees and athletes are expected to conduct themselves in a sportsmanlike manner. Fighting, foul language, cheating and other unsportsmanlike practices will not be tolerated. 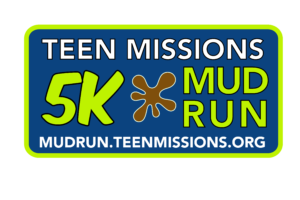 Teen Missions reserves the right to refuse racers entry and the right to disqualify anyone who conducts himself or herself in a way unbecoming of an athlete. Thank you for helping us make this event family friendly. Teen Missions property is a smoke-free environment. Please refrain from smoking while on the premises.